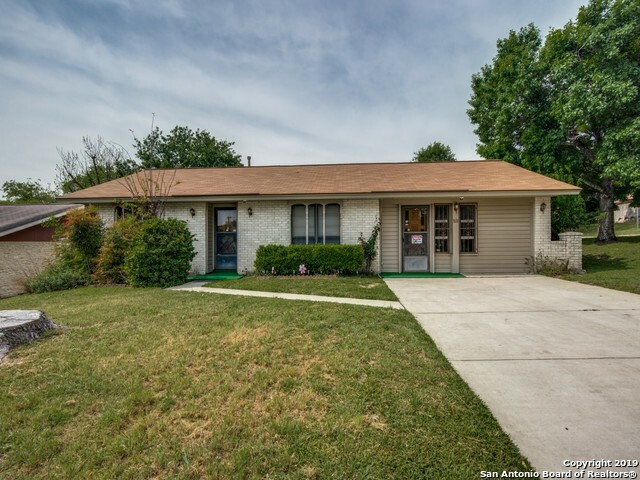 All OAK HILLS TERRACE homes currently listed for sale in San Antonio as of 04/20/2019 are shown below. You can change the search criteria at any time by pressing the 'Change Search' button below. "Impressive, completely remodeled in 2016, one story, energy efficient, 3 BR, 2 bath, 1 car garage home near the Medical Center and USAA. Bright, open floor plan with Designer Kitchen that features: custom 42 soft close Shaker cabinets, granite counters, Whirlpool stainless appliances, recess lighting, gas range, porcelain tile floors. Spacious living and dining areas with Pergo floors; same flooring in bedrooms. Master Bath-glass walk in shower, custom cabinets, granite counter. Guest bath-deep "
"WOW! It doesn't get better! Beautiful home in immaculate condition pride of ownership shows throughout. Available now this cozy single story with a large bonus room 3/2 Located in the Oak hills Terrace subdivision Open floor plan, New Vinyl floors, Enjoy Instant and continuous hot water with the tank less water heater, New faucet thought out the home, and Large living area. Enjoy the back yard great for family outings and BBQ's A must see. located close to 410, I-10, and the Medical Center." "Adorable 2 story condo in the subdivision of Oak Hills Terrace offers 2 bedrooms & 1.5 bathrooms. Located just minutes from I-410 w/ public transportation options close by. Bright floor plan w/ cozy living room. Cute kitchen w/ access to back patio & ample amount of counter/cabinet space. Dining room w/ unique chandelier. Master bedroom w/ ceiling fan & 2 bright windows for natural light. Nice-sized secondary bedrooms. Private patio area. Features an onsite laundry facility & pool. Don't miss ou"